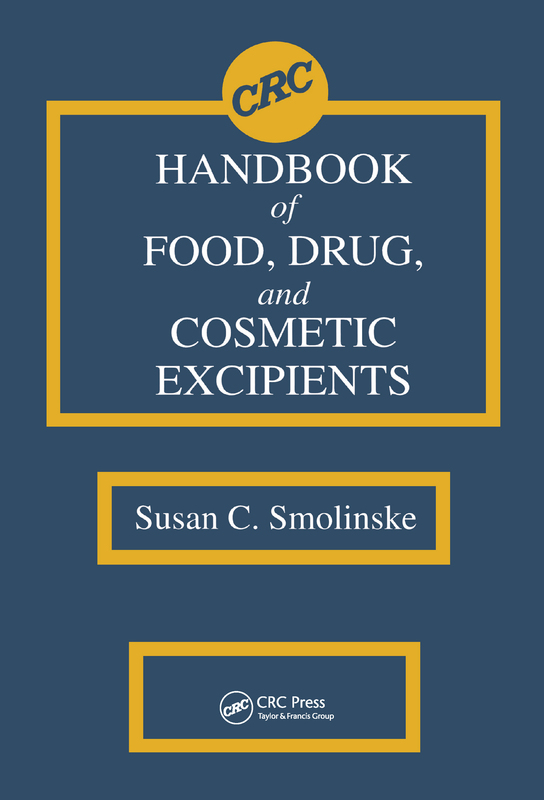 CRC Handbook of Food, Drug, and Cosmetic Excipients provides a comprehensive summary of toxicological issues regarding inactive ingredients in pharmaceutical products, cosmetic products, and food additives. Background information on regulations and labeling requirements for each type of product is provided, and 77 articles critically review human and animal data pertinent to a variety of agents and makes judgments regarding the clinical relevance. The book also identifies at-risk populations, such as neonates, patients with renal failure, and atopic patients. Inactive common pharmaceutical agents and/or foods containing certain ingredients are listed to help physicians counsel hypersensitive patients who must avoid products containing these excipients.